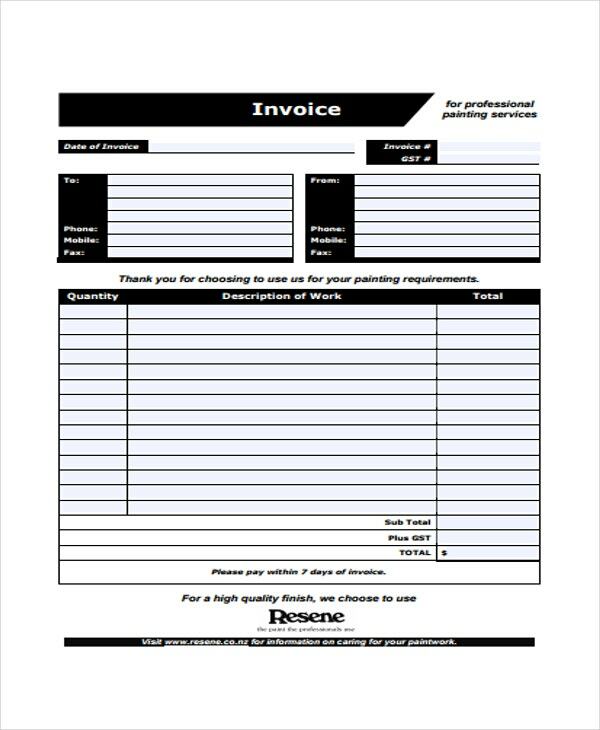 This particular kind of invoice template is used to make printable invoices by house painters or companies of such type where they note down the color graphic of a paint roller. 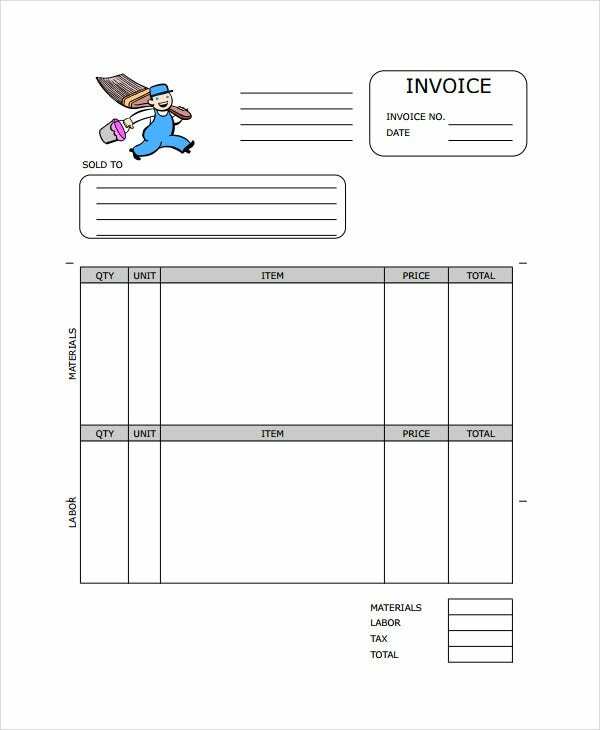 You can also see Timesheet Invoice Template. 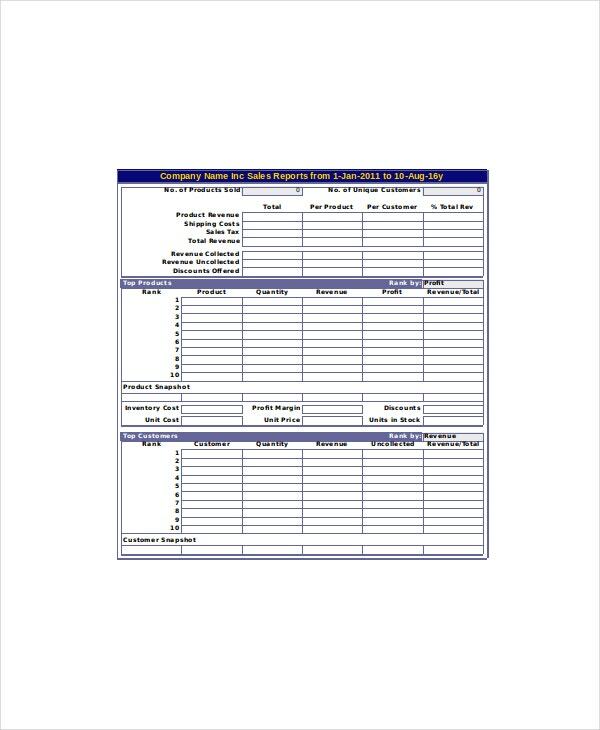 The form includes spaces where you can note down the quantity, unit, item, price and many other things which need to be separated on the basis of materials and labor. You can use this file with ease since it comes in PDF, .doc, and .xls format. 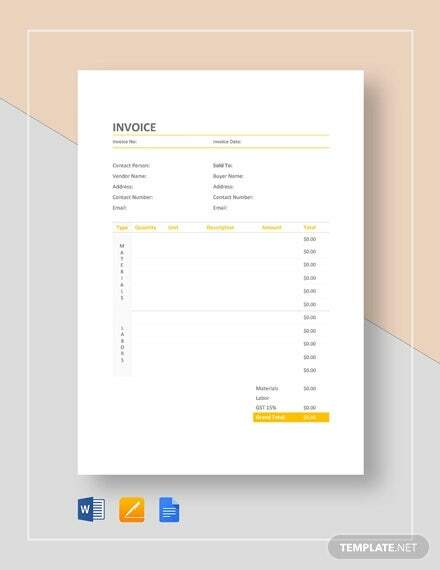 You can also see Invoice Template. 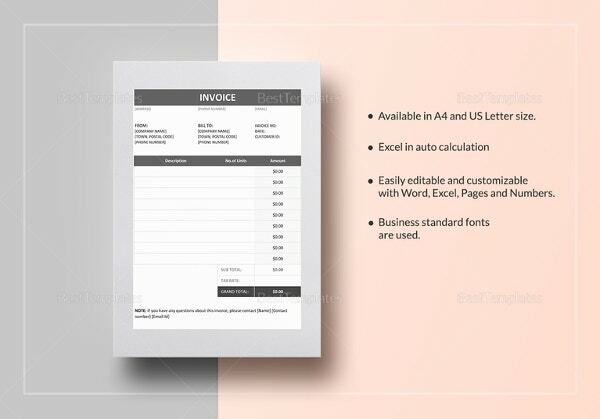 This particular template can be easily customized and filled in with the required details, such as, invoice number, date, amount of materials used, their price in terms of quantity, the total amount of it and labor required to do the task. You can produce it to your client once the calculation is made. 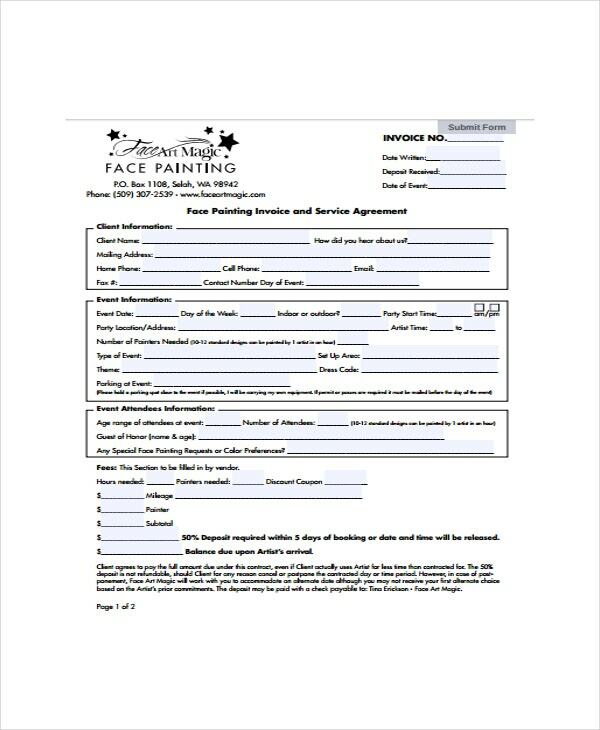 This particular template comprises of details in the form of columns where you can assign the company’s name, materials used and the service charge required so as to do the work. All the entries are to be made on the basis of their quantities, cost per unit and the total amount of the entire thing. 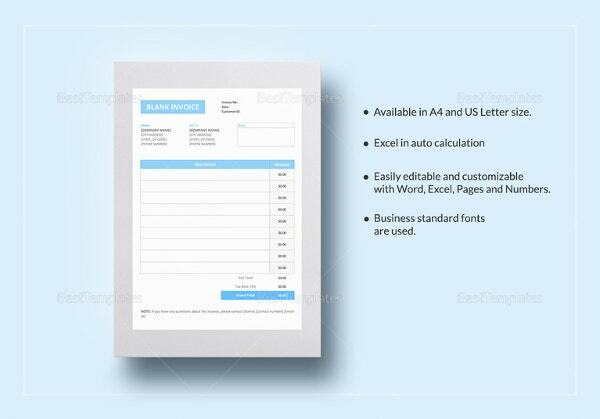 Since the basic outline of the form is readily available, all you need to do is edit in on MS Word or Excel and insert the date of the invoice and the Perfect Logistics A4 Invoice Template number on top. Next you need to write down the customer’s name, address and contact information. A painting invoice comprises of all the basic necessary details that a bill should comprise of. If you happen to open a bill of such type you will see that it includes the invoice number and the date of its issue at the top. The bill also comprises of the customer’s name and address, his contact details such as personal phone number and email id. 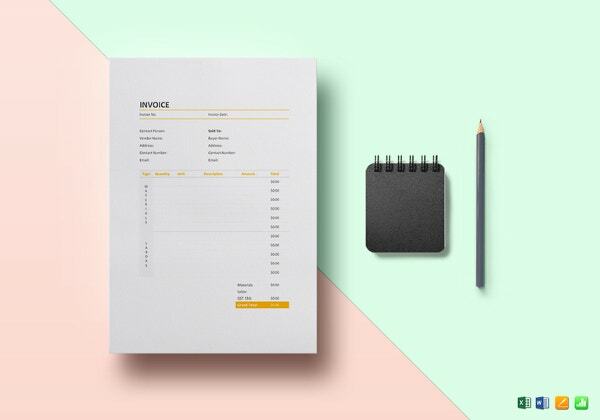 The invoice also includes the name and the quantity of the raw materials required to do the task and the number of days of the service that was provided to the client. Once the due is paid by the client, its payment in terms of cash or card is also recorded over there. Also, as a client you can get to know the basic market rate of the raw materials and the service cost, if there is any. 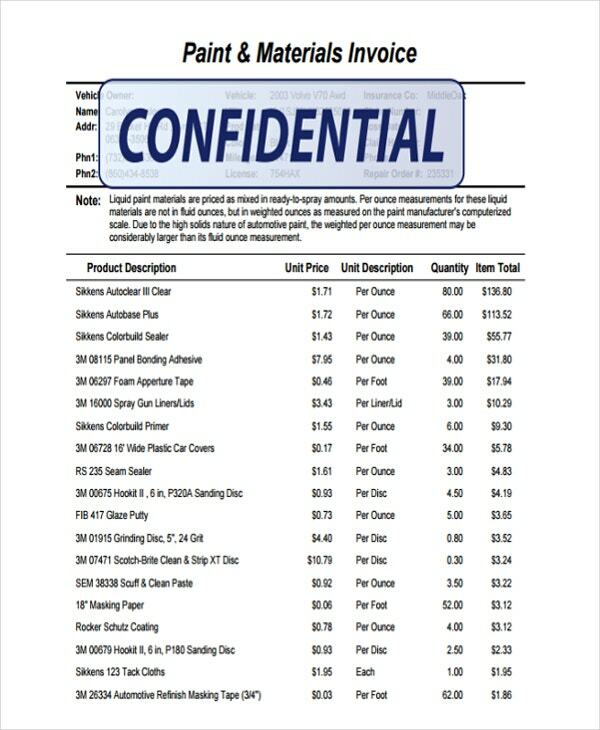 Things like the description of the length of the painting, the qualities of the colors used can also be noted down in the invoices. 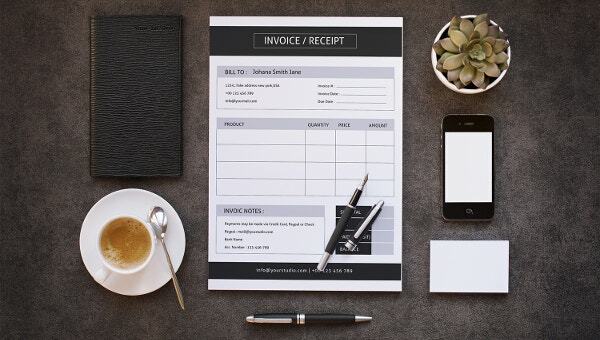 If you are a contractor and need to mention the summary of the work that you have completed for the client, then all you need to do is raise a contractor invoice when you require the payment. 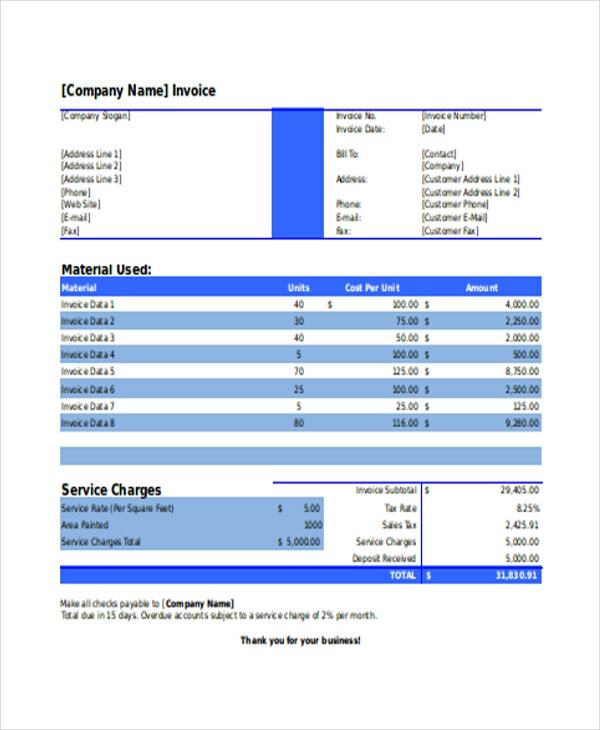 You can also see as Catering Services Invoice Template.